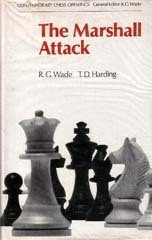 There are more books on Chess than all the other sporting books put together! Not a generalisation. A fact. A safe estimate is 300 new Chess books are published in Europe and America every year. Which is bad news if you are a Chess book collector. You have to move to a bigger house every 4 years just to store them. Even worse news if you are a Chess player. What book do you buy? And why buy Chess books at all? Once you have learnt the moves, what else is there to know? In Chess there is a method of recording moves which enables the game to be played over and over again. A kind of video recorder which allows the viewer to look at games from the past. Chess notation has been around for 500 years. Reading and studying a Chess book is essential to improving one’s play. You can play over a game and, if it’s properly annotated, you are sitting there besides a Grandmaster listening to his thoughts and following his analysis. You can also play over a game by a rabbit (a Chess term for weak players – other non-complimentary names are: fish, muppet, patzer, klutz, hacker, caveman, cheapo merchant, blunderman, sad sack…). Playing over games with blunders in them is beneficial. Not only do you fall about laughing at some putz (another non-complimentary term), you can avoid making the same blunder yourself. Well that’s the theory. I once wrote an article about opening traps in the Edinburgh magazine Capital Chess. Two weeks later I fell into a variation of a trap I advised readers to look out for. How they laughed that night. A raw beginner has to learn elementary tactics, opening traps and basic middle game play, and have a rudimentary grasp of the end game. This, unless you can afford a good teacher, can only be obtained from books. Active players of Master strength study up to 4 – 5 hours a day when preparing for a tournament. They play over countless games of their future opponents looking for a weakness in their opening lines or seeing what type of position they handle best and, more importantly, what type of positions they play badly. The ex-world champion Kasparov has a team of Grandmasters looking for chinks in the armour of the world’s strongest players. When they find something they show it to Kasparov and together they iron out the wrinkles and wait for the opportunity to strike. If they cannot use their improvement in the coming tournament then it is tucked away and stored for another day. The American Champion Frank Marshall waited 7 years to spring his surprise gambit on Capablanca. It has been reported that Marshall discovered the move that now bears his name in 1911. He had to wait for World War I to come and go before getting the chance to play his surprise pawn sacrifice on move 8 and then … lost the game! That was in New York in 1918. Even today opening theoreticians are still arguing over the move’s merits. It is true that today most players use a computer database rather than depend on bulletins and books. Some of these databases contain 3 million games. But the database only gives you the bare score. The book gives you more. Opening books are by far the most popular and the biggest sellers. Here the reader is invited to memorise on average 10 main moves and then all the variations and sub-variations. The first 10 moves are the ‘theory’ of a particular opening. In some openings the theory can run up to twenty moves. If that were not taxing enough, we are advised to know at least two openings thoroughly. That is two with White and two with Black. It has been worked out if your tried to reach every possible position after 4 moves at one minute per position playing all day and night, it would take 600,000 years. After 5 moves things get ridiculous. You can see the full number from the Moon. More positions than grains of sand in the sea. (But not quite as many as pictures of David Beckham in The Sun). So why, if opening books are so tortuous to plough through, are they so popular? Serious Chess is played against the clock. You have to make so many moves in a certain amount of time. In the Edinburgh Chess League the time control is 36 moves in one and a half hours. Each player has 1.5 hours for the first 36 moves. If they are unfinished then each player has an extra 15 minutes added to their time and the game is played to a finish. The game can end in 4 different ways. Checkmate, the resignation of a player in a hopeless position, an agreed draw or a loss on time. If you can skip through the first 10 or so moves you save time on the clock and therefore gain an edge. Hopefully your opponent is ‘out of theory’ and has to invest valuable time working out the ramifications of the position in front of him. Of course what may happen is that your opponent makes a move not considered by your opening book. 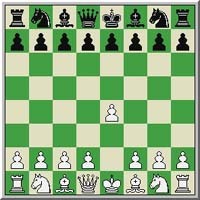 If you recall the number of different positions after just 5 moves you will appreciate this is very feasible. When this occurs all your hours of studying and memorising are out the window. An awkward moment this for the booked up player. Is this a bad move and that’s why it’s not considered as part of theory? Is it a good move that’s just been discovered (a theoretical novelty) thus making your opening book obsolete? Is he bluffing? Every Chess player from the lowest league player to the top Grandmaster has a bundle of opening books that they have bought, begged or borrowed, 90 per cent of which are out of date and useless. Although every good player has jammed his head full of opening lines and owns more than their fair share of opening books, if asked by an inexperienced player to give advice on what opening book to buy they will, if they honestly want to help, say ‘don’t bother’ and recommend a good book that explains the opening principles. No reams of analysis to learn here, just follow the opening guidelines: develop, don’t go pawn grabbing, castle early, control the centre. This is good advice. Games between evenly matched players are decided in the middle game, the part of the game rich in ideas, tricks, traps and plans. The beginner will listen to the good advice and then go off and buy loads of opening books. They all do. I did. So what are the authors writing about? With all these thousands of books giving Chess opening advice, are they not repeating themselves? YES! The only thing that differs is the style. I shall give 3 different styles, each describing why 1 e4 (pawn to King four) is a good opening move. He says the same thing and even nicks part of the title! 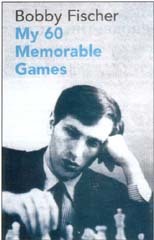 - Bobby Fischer in My 60 Memorable Games.